More homeowners than ever are investing in improvements and upgrades to their current property to increase their home and overall property value. The addition or renovation of an outdoor living space is a significant investment, and one that can yield high returns in terms of lifestyle and increased value. An outdoor living space adds functional square and has the potential to change the way you currently use the space in your home. 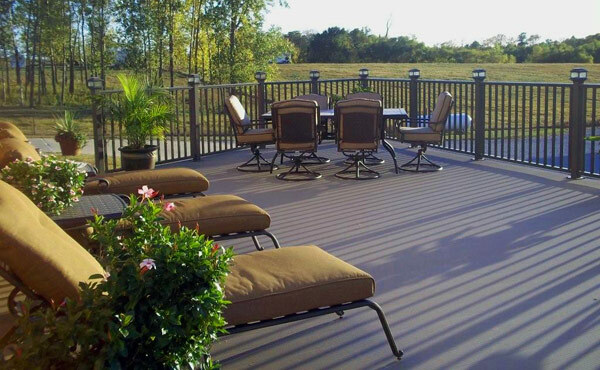 The choice to invest in an aluminum deck, railing or fence system over wood or composite products is an important one for every homeowner. Understanding the key benefits of aluminum-based products will help you make the best decision for your own property. Use the links located on the menu to the left to learn more about aluminum’s core properties and how they best serve your home improvement project.